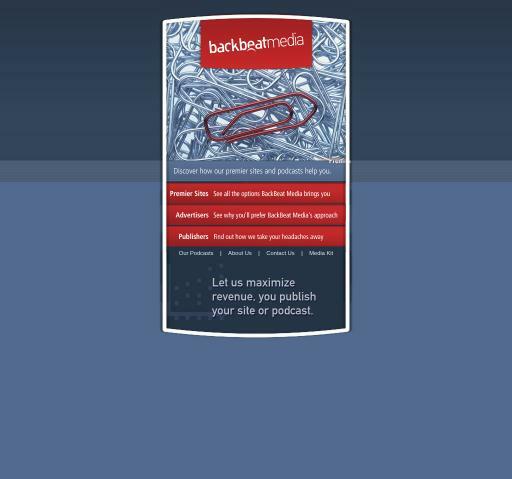 BackBeat Media advertising network details. BackBeat Media has survived on the market since 1999, proving to be one of the advertising veterans of this space. From their point of view, computers are not the best tools in selecting audiences. For BackBeat Media Team, the best audience is the one that selects itself. The company has worked with top brands from all around the world and their experience within the Apple niche has taught them how to handle the advertising industry and how to manipulate audiences in order to achieve their clients’ goals. Check the reviews on Affbank about BackBeat Media and for any details regarding their Target Audience, Pricing Models and Advertising Formats, reach the Information section. If you choose to join the BackBeat Media, you can do that by clicking on - Join Now! Once you create an account, you will get in touch with an experienced Manager who will give the best to help you reach your goals with BackBeat Media.